We are passionate about staying fit, being healthy and living an active lifestyle. It’s not about living in the gym, it’s about creating a lifestyle that you love. Balance, hard work and community is what IronStone and ironAngles are all about! Our professional, and motivating coaches are here to help you achieve your goals! 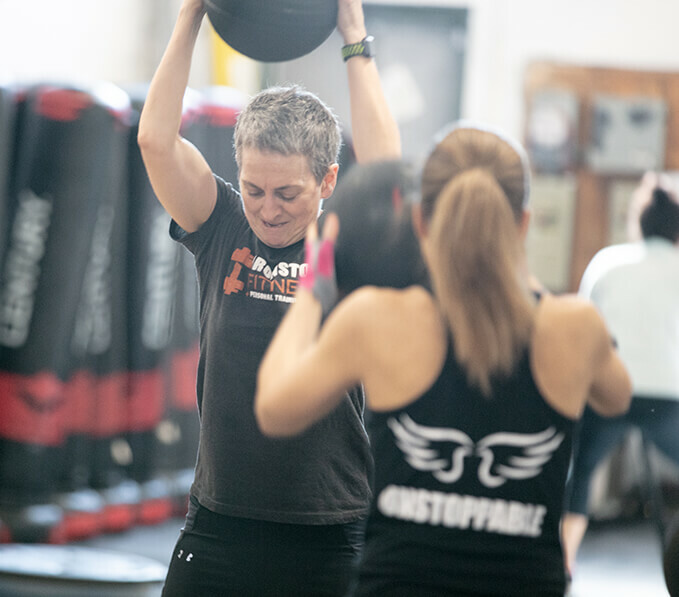 Its not about the perfect body image, or crazy routines, It’s about being your own best each time you walk through our doors to the variety of classes offered at Ironstone Fitness. Ironstone Fitness offers different options to achieve your fitness goals. Primarily we offer Group Bootcamp style training. Additionally we offer Fitness KickBoxing, Body Sculpting as well as one-on-one personal training and various classes. 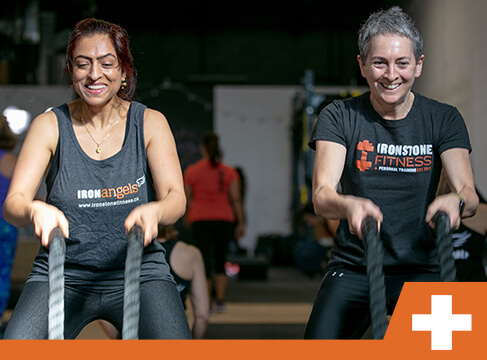 Ironstone Fitness offers a wide range of co-ed and ladies-only classes, bootcamps, and challenges to ensure that everyone can find a program that works for them. Work on your lean muscle definition and target your upper body with Ironstone Fitness’ Upper Body Sculpt’n Kickboxing! 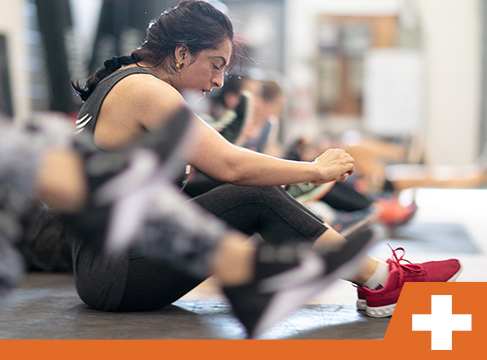 Strengthen your core and sculpt your lower body to build a foundation for your daily life with Power Lower Body Sculpt’n Crunch. 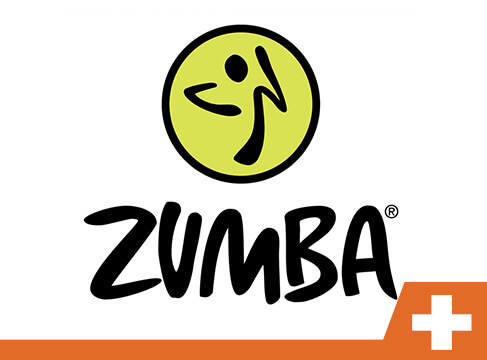 Combinine Latin music with popular dance styles like salsa, mambo, merengue, African beats, hip hop, and reggaetón, for the ultimate dance workout! Get Spartan fit with this combined indoor and outdoor seasonal training program built to help increase your endurance and speed. (Temporarily Cancelled) A safe, fun, and intense bootcamp designed just for kids (6-12)! This H.I.I.T. (High Intensity Interval Training) will get that heart rate soaring while SHREDDING off fat and increasing your overall strength! 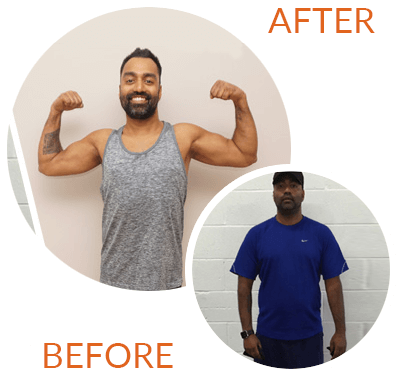 My wife told me about Ironstone Fitness after working out with Rosie for a year and seeing results. I had been going to a franchise gym occasionally, lifting weights, but not enough cardio. I weighed 176lbs when I started working out with Rosie, 4 months later I dropped to 159lbs where I currently sit. I’m VERY addicted to Ironstone Fitness and consider myself a member of this amazing family for life! Thanks Rosie! TAMARA LOST 40LBS AND 20 INCHES! After my daughter was born I knew I wanted to get into shape. I thought I could do it on my own by trying to eat healthy and exercising , but it wasn’t working. When the 12 week challenge came up I knew I had to do it. I was worried I wouldn’t be able to keep up with the workouts but the classes are perfect for any fitness level. I lost 40Ibs and a total of 20 inches – all my baby weight and then some. This gym is a gem!! 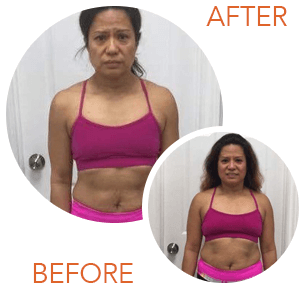 Amy LOST Over 15LBS AND 11 INCHES! Ironstone Fitness has helped me find my way back to the love of being active and eating healthy again. Like many working mothers, I have a tough time scheduling in my workouts and was getting tired of the gym. A friend recommended Ironstone’s 6 week Challenge last November. By Christmas, I lost 15 lbs and over 11 inches. 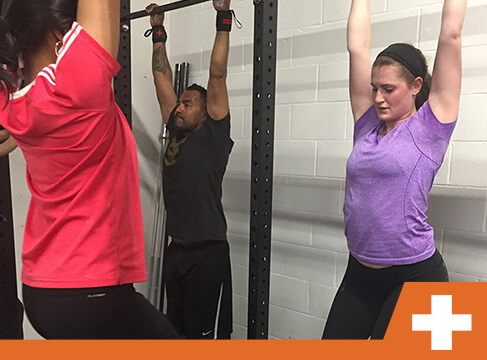 Coaches and members at Ironstone are the best and will keep you on track with your goals. Ananda LOved the Ironstone Experience! What can I say… Ironstone Fitness is a place where results are guaranteed so long as you follow your plan. The 12 week challenge was a great kick start to a healthier and happier new me. I hit all the goals I set out to accomplish over the challenge with regards to weight loss, inches lost, increased strength, stamina, cardio and energy. I have been to other bootcamp fitness centres but Ironstone Fitness is by far the best!!! 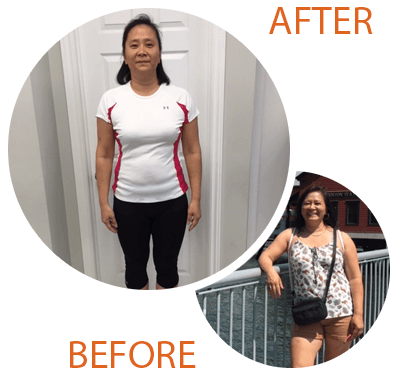 Eileen Lost 15lbs and 5 Inches! I joined the 12 WEEK CHALLENGE with the goal of losing 10 lbs before our cruise in December. We were given an individualized nutrition plan which never left me starving. I gained strength, muscles and my confidence boosted. I went way beyond my comfort zone and wore a 2 piece swim suit with no cover ups during our cruise. I wanted to thank Rosie, Shelley and the Ironstone Fitness team for their dedication in making sure our goals are achieved. Ironstone Fitness offers different options to achieve your fitness goals. Primarily we offer Group Bootcamp style training. Additionally we offer Fitness Kick Boxing, Body Sculpting Classes, Spin, Socacize as well as one-on-one personal training. 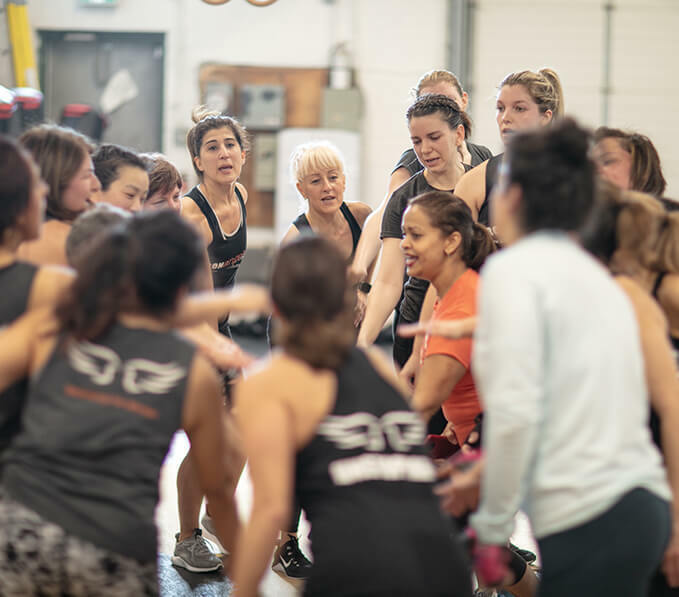 Group training options are offered in a women only setting, known as the Iron Angels or if you are interested in working out with your partner or significant other, we offer co-ed sessions. Mon-Thur: 6:00 a.m. to 8:00 p.m.
Fri: 6:00 a.m. to 6:30 p.m. Sat: 7:15 a.m. to 11:30 p.m.
Sun: 8:15 a.m. to 10:30 p.m.
Like What You See? Let's Set You Up With a Free Trial! Fill in your information below to get an exclusive trial with Ironstone Fitness! Once you have submitted your information, a member of our team will be in touch to set up your trial! We have received your information and will be in touch shortly!